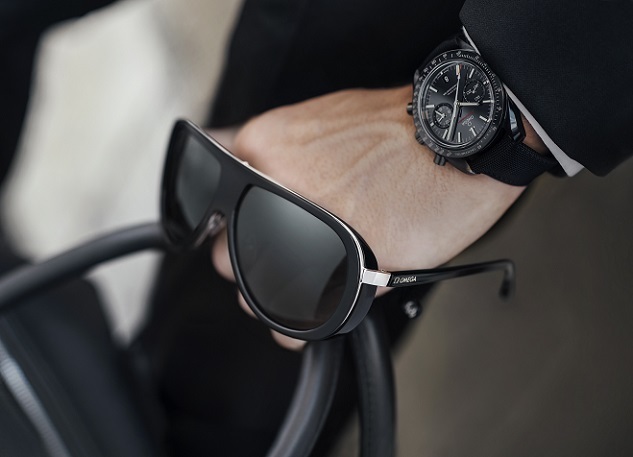 OMEGA launches its very first collection of sunglasses for both men and women in partnership with Marcolin Eyewear in Italy. The products represent the next expansion of the OMEGA universe, where watches and jewellery are already known for exquisite quality and craftsmanship. The first summer collection will be available exclusively in OMEGA boutiques around the world from September 2016. 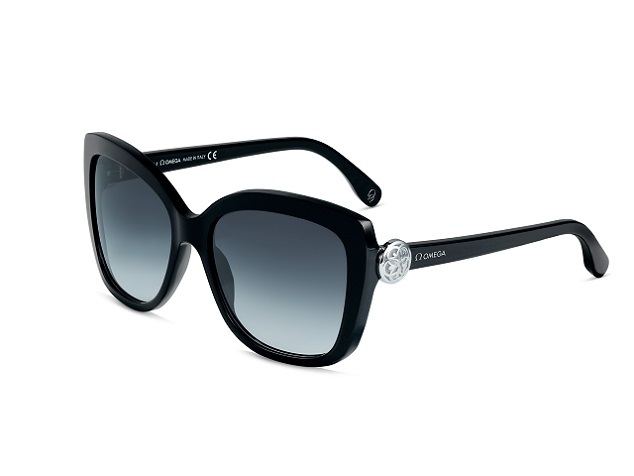 For each pair of sunglasses, OMEGA offers two different sizes, as well as two colour varieties for each model. Inspiration for the sunglasses has been taken from the brand’s heritage and products. This has enabled many aesthetical and technical design details that make each pair unique. Look closely and you will see certain identifiable features such as the flower pattern found in OMEGA jewellery, the iconic claws of the Constellation watch, flexible hinges that resemble a watch crown, the shiny black finish similar to OMEGA’s ceramic Dark Side of the Moon Collection, or metal injected frames inspired by stainless steel. Commenting on the launch, Raynald Aeschlimann, President & CEO of OMEGA, said, “This is an exciting step for OMEGA because it leads our brand into new areas of opportunity. With our long history, there is real brand substance and authenticity to work with and we have ensured that it is truly represented in every pair of sunglasses. It’s also been beneficial to share this project with Marcolin, as their renowned expertise and background with high-level brands has allowed us to produce some fantastic products. 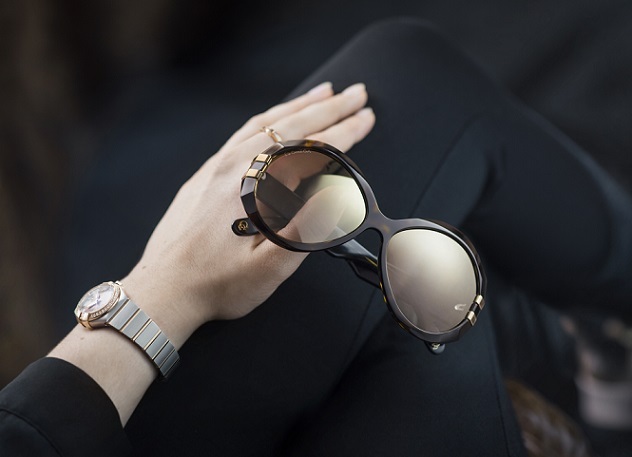 This is a chance to find new ways to express personal style and a passion for our brand.” In design, OMEGA retains its legendary sense of detail with sunglasses that are crafted from the very best metal and acetate. All lenses are high-quality and scratch-resistant with an anti-reflective treatment. The lenses are also engraved with the OMEGA name and logo. This can also be found in several other places including nose pads and facetted temple tips. Amongst the new collection, there is also a Limited Edition model honouring the Rio 2016 Olympic Games where OMEGA assumes its role as the Official Timekeeper. This pair of classic looking Unisex sunglasses is the only pair that comes in one colour: Matte black with polarised green lenses. Other subtle design details include a keyhole bridge in the shape of the OMEGA logo. Only 2016 pairs have been created, and they are available during and after the Olympic Games. Finally, each pair of OMEGA sunglasses will be presented in a hard shell case with Zebrawood reminiscent of the interior of OMEGA boutiques. It will include a microfiber pouch as an alternative carry option.